Lance Cpl. 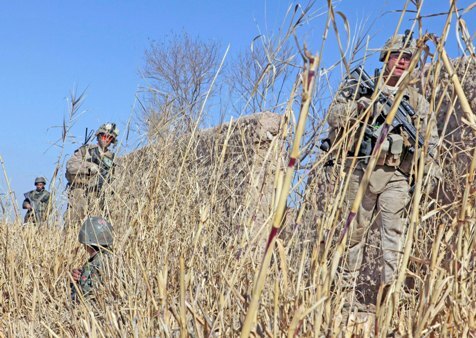 Glenn A. Cocagne, a team leader with Weapons Company, 2nd Battalion, 9th Marine Regiment, leads a group of Marines and Afghanistan National Army soldiers outside a compound during Operation Integrity, in Marjah, Helmand Province, Afghanistan, Jan. 15. The main purpose of the operation was to successfully cordon off a suspected hotspot for Taliban activity, search for weapon and IED caches, disrupt enemy logistical operations and gather census data on locals in the region of Sistani.